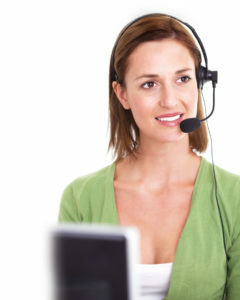 Home / Customer Service / Conversational Selling: Why is it Essential for Small Businesses? Conversational selling has evolved as a non-pushy, natural method of selling that is both popular and highly effective. While there are those among its advocates that suggest it’s purely for transactional, retail selling (or B2C), I disagree. I’m a firm believer that its main benefits apply to businesses in any sector, particularly small businesses. Many small businesses are established on the back of a skill or trade. That skill translates into products or services that need to be sold. The entrepreneur has bags of enthusiasm for the product but soon recognises that product passion and knowledge alone don’t sell. And if he or she has never had sales training or experience, selling can often be a daunting task. Maybe they do OK at selling but would like to convert more leads. Or maybe they have a staff or family member that needs to learn how to deal with customer opportunities. Whatever the reason, a problem of lack of sales experience can lead to a crisis of confidence. And who wants to be a slick, stereotypical sales machine, nowadays? Who wants to feel the pressure of having close deals all the time? Conversational selling takes away that pressure to conform to a corporate style that most small businesses don’t want. In any customer facing situation, you’ll get better responses if you make a point of exploring and addressing your customer’s needs. That will improve your customer relationships and can naturally lead to sales. It’s equally appropriate for face-to-face encounters or over the phone. By focusing on conversation with the customer, albeit directed at a particular outcome, the selling process becomes enjoyable. You get to find out about the needs and aspirations of your customers. You understand each other better. Trust builds naturally. How Does Conversational Selling Work? RAPPORT – creating a positive initial impression and making introductions. ENGAGE – opening a conversation in which the buyer speaks more than the seller. The aim is to understand the buyer’s needs, in relation to the sellers offer. ALIGN – using the knowledge gained to inform a clear, concise offer. Encouraging questions. COMPLETE – closing the sale quite naturally without the need for manipulative, old-fashioned techniques. HOLD ON – to your customers for the long term. Who Does Conversational Selling Suit Best? Conversational selling, once you know the process and how to move between each step, is easy to practice. It’s great for anyone who needs to sell but hasn’t had much sales experience. It’s a more modern approach to selling than the pushy, manipulative methods of old and builds stronger relationships with customers. That’s why I advocate small businesses adopting conversational selling, because often their business comes from their locality. Strong customer relationships are the best way for them to thrive and grow. It allows entrepreneurs to focus on what they do best without worrying about ‘closing deals’ when they meet customers. For training or coaching in conversational selling, whether for your telesales, customer service or field-based sales team, contact me first. ALSO catch useful sales improvement techniques at the Build Your Empire II event at Stansted Airport’s Novotel on 2nd October. More information …. Conversational Selling: Modern, Non-Pushy … and Fun!